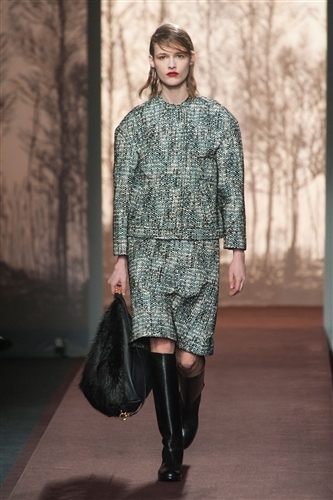 This season Marni taught us that simplicity can be the final word on sophistication. 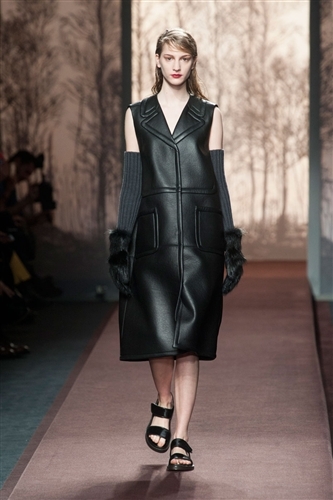 Consuelo Catiglioni described her latest designs as embodying an austere romanticism and this aesthetic was really apparent. 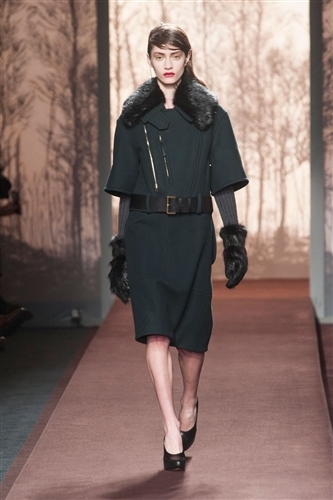 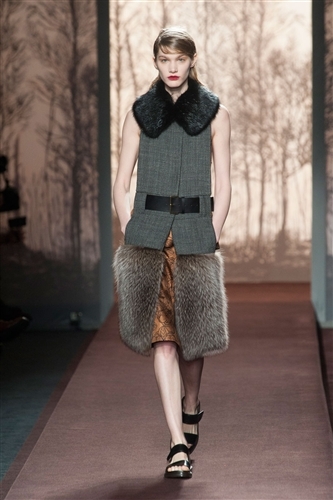 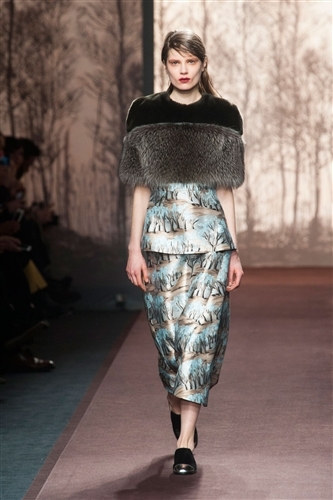 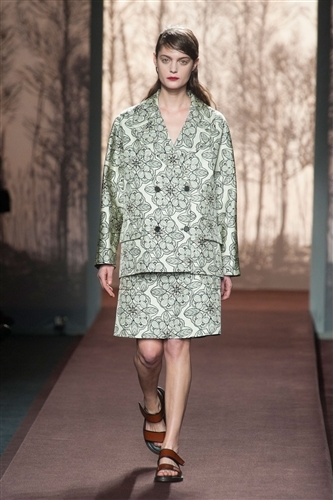 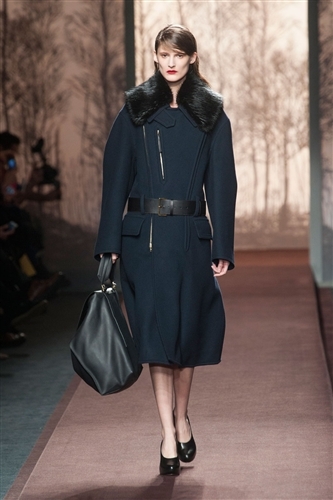 The tailoring was chic and refined but consistently softened with touches of print and fur. 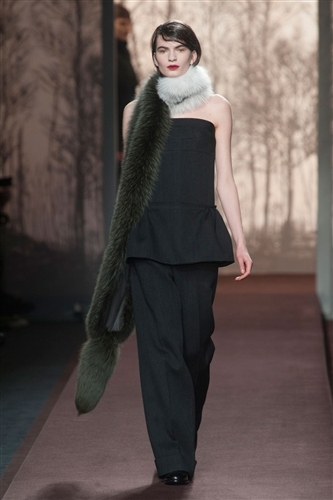 Adding a forward thinking element to the collection the Marni look was updated with a masculine edge which included the use of typically menswear fabrics. 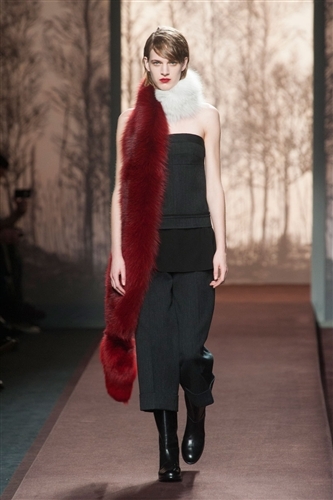 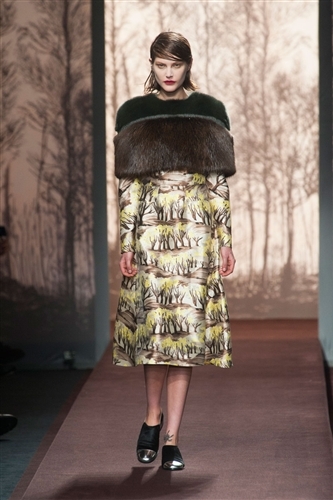 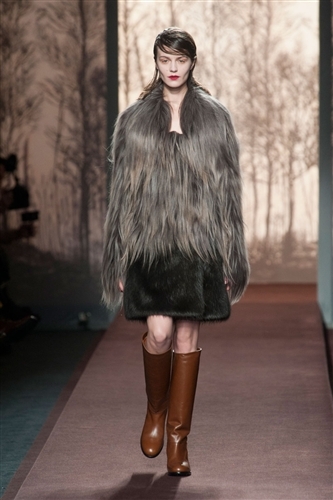 Marni also continued its famed love of fur, though this time it was a more minimalist and fashion forward take in the form of fur scarfs, collars and capelets. 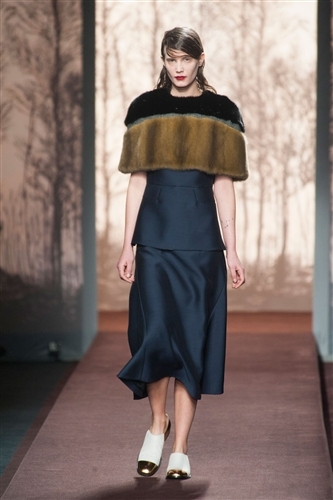 Consuelo also included one of the biggest trends this season, pleats. 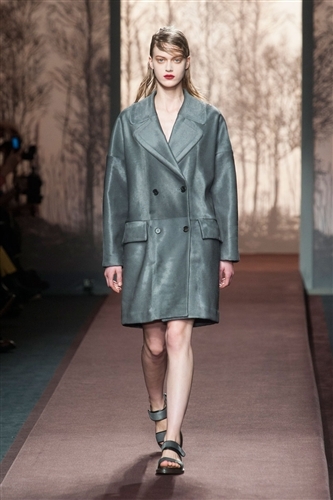 Everything from skirts, dresses and outerwear featured a precise pleat, which added a further refined elegance to the designs.